Welcome to our very first Ultimate Marketing FAQ. This time, we’ll unravel the deepest mysteries surrounding ads on Reddit, the social media platform every marketer wants to crack. You’re probably wondering, why the grab bag approach? Well from time to time, we at Ladder like to whisk burning marketing questions about out of the ether and find the answers. For fun, and science. Plus, when our clients ask us, we’ll look super smart. Why does Reddit have ads? 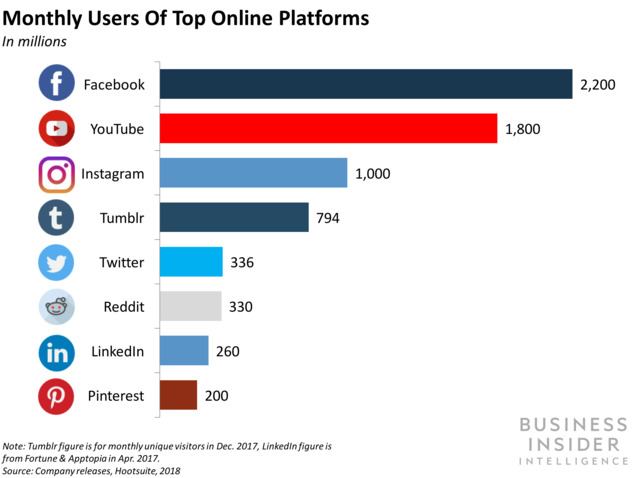 Reddit is the fifth busiest website in the US. It has more monthly unique visitors than LinkedIn! Yet “the front page of the Internet” has struggled to make money. This year, Reddit’s annual revenue will top $100 million for the first time. However, LinkedIn earned $1.3 billion in Q2 alone! So clearly, there’s more cash to be had for Reddit, right? The site’s creators think putting new and different ads on Reddit will boost their revenue. They’ve (reluctantly) added advertising options over the years. And taken some away. Let’s have a look at the timeline. When did Reddit get ads? Now for as little as $20, you can buy sponsored links on reddit: advertising by redditors, for redditors! The first ads on Reddit showed up in 2009 in the form of sponsored ad links. In 2013, Reddit marketing introduced display advertising with sidebar banners from Adzerk. Then, In 2016, Reddit ditched sponsored ad links and launched sponsored ad posts — or Promoted Posts — in their place. And in March 2018, Reddit brought those same sponsored ads to their mobile app. Last July, Reddit added CTA buttons to their Promoted Posts. When people talk about ads on Reddit, they’re referring to Promoted Posts. That’s Reddit’s native advertising unit. These sponsored ad posts are just like regular Reddit posts, complete with upvotes, downvotes, comments — the works. You can see the full ad specs here. See? Virtually indistinguishable from a Reddit post. Well, except for the big blue uppercase PROMOTED in the top left corner. So how do Reddit ads work? Reddit has decided the best way for ads on Reddit to work is for the users themselves to post flattering content about brands — then have brands promote those posts. That’s because Reddit has been openly hostile towards ads for years. The original post will remain where it was originally uploaded. The promoted user post comment section will link to the original comments section. Nothing stops you from posting content you want to promote. But it’ll be obvious from how new your account is that you joined Reddit just to advertise. Redditors will be wary of what you say, so be transparent. Now, if you’re a “large-scale advertiser with at least a $50,000 quarterly spend,” you can fill out a form. Reddit’s sales team works with you directly and life magically gets easier. We think you shouldn’t have to spend $50K to get help or good results. When you’re ready, use Reddit’s self serve ad platform. Create an account, then go to the Reddit ads dashboard where you can create your first bit of Reddit native advertising. 👉 Don’t forget your Best Practices for ads on Reddit. There’s a key difference between ads on Reddit and ads on Facebook or LinkedIn. Even though you may be targeting individuals, entire communities will engage your posts (hopefully/maybe). Think of yourself as a guest — even though you’re forking over cash for Reddit’s paid ads. Check out our paid Reddit marketing experiment to see how we leveraged targeting. How long for Reddit ads to be approved? Reddit says to allow 24 hours for your ads to be approved. We’ve heard ads don’t get reviewed over the weekend — or it could be the weekend reviews are just slower. Hard to say either way. Last time we tried Reddit paid ads, approval took 2 hours. In any event, if you want to get your ads on the Reddit marketing platform at a certain time, submit them well ahead. If you’re having trouble getting your ad approved, post in r/redditads and some kind soul (i.e. customer success rep) may help you out. If you want the party line on ad approvals from Reddit themselves — including what’ll get your ad canned — head over to their Zendesk. How much do ads on Reddit cost? That’s the least you can spend on Reddit marketing PPC. You buy ads on Reddit on a CPM-basis, bidding auction-style. And there’s a $0.20 CPM minimum bid. So your Reddit ads cost ultimately depends on who else is targeting the audience you want (among other opaque factors), and how much they’re willing to pay. Reddit’s paid ads can feel like a bit of a black hole when it comes to pricing, unfortunately. Are Reddit ads worth it? We actually got better results from organic posts than ads on Reddit. We got a clear confirmation that the Reddit community is still ad-proof and smells/ignores promoted posts. That is a huge problem not only for advertisers, but also for Reddit. We’re calling it on this one for now: Reddit Ads are not part of a good advertising strategy for now. With Reddit hungry for more revenue, and new ad units rolling out, that may change in the future. Find out what growth tactics you need to launch next!